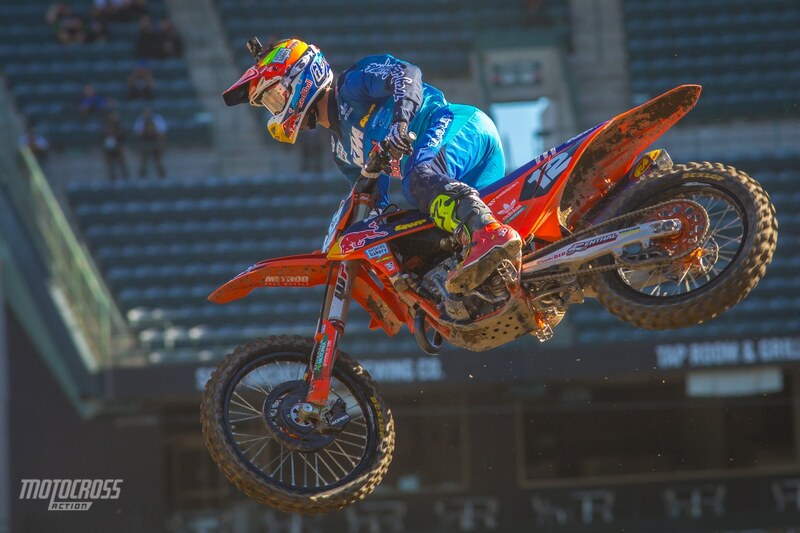 Shane McElrath wins 250 Main Event 3 and the overall at Anaheim 2. 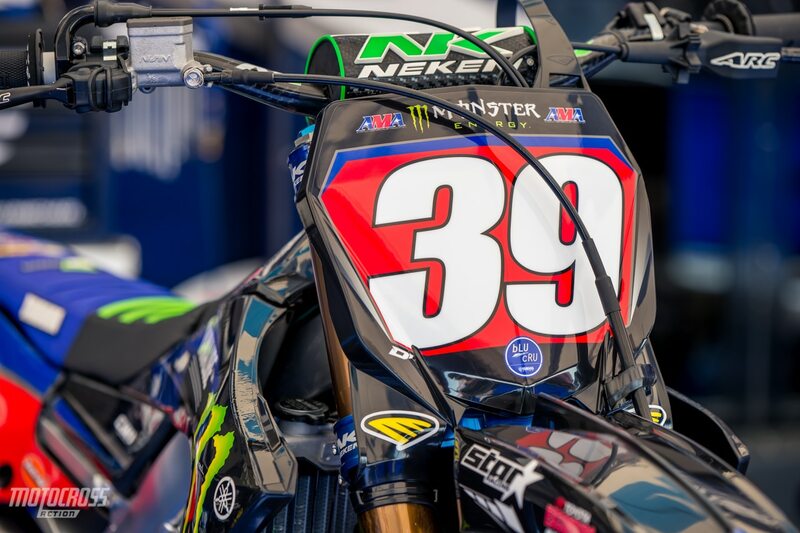 Round three of the 2019 Monster Energy Supercross season has been very eventful! The track was rutted and technical with big rhythm sections and whoops that broke down and became very sketchy. In the 250 class we had three Main Events and three different winners! 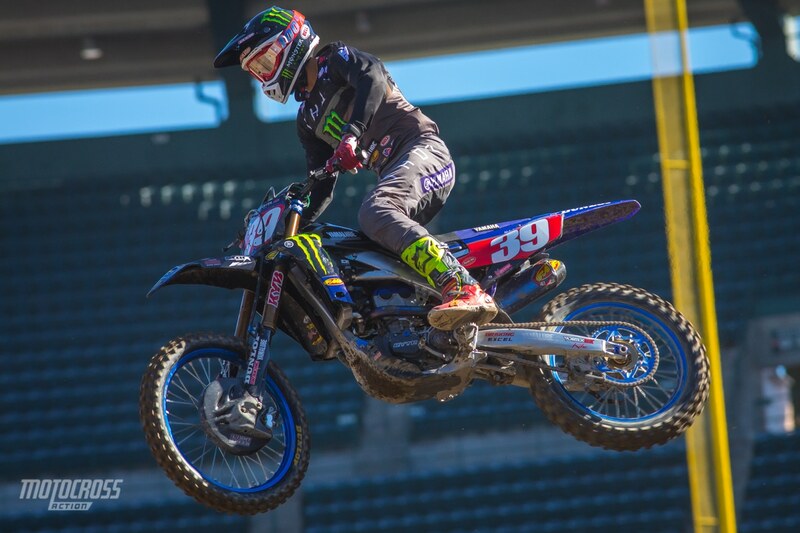 Colt Nichols won the first Main, then Dylan Ferrandis won Main Event 2 and Shane McElrath won the third Main. 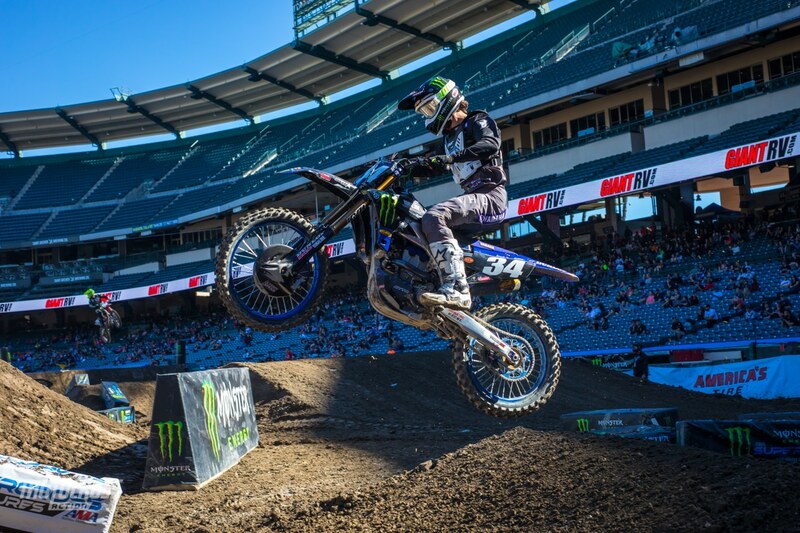 After the points from all three main events were counted it is Shane McElrath who wins Anaheim 2! Shane is now 2 points behind Colt Nichols in the Championship. 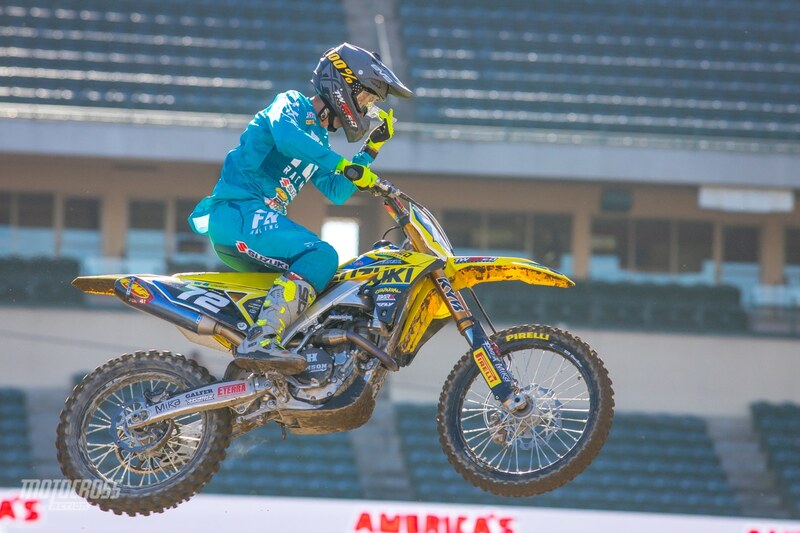 Dylan Ferrandis finishes second overall after three Main Events at Anaheim 2 Supercross. Colt Nichols finished a solid third tonight at Anaheim 2. 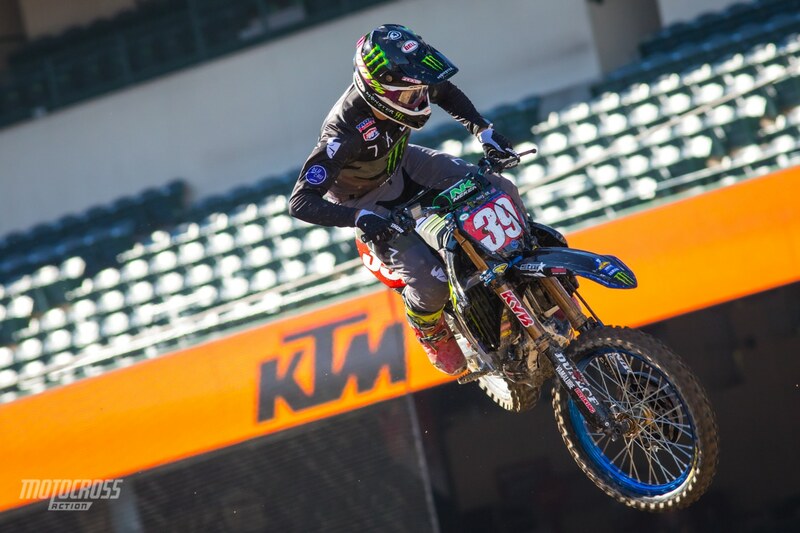 Colt Nichols will keep the points lead and the red number plate for round four in Oakland. 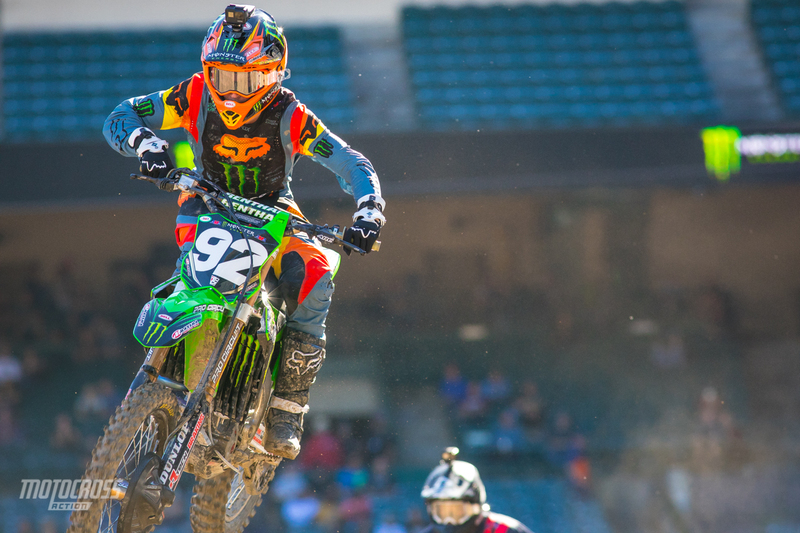 Adam Cianciarulo went 4-14-2 for fifth overall at Anaheim 2. Adam Cianciarulo grabbed the holeshot in the first 250 main event but after a crash Colt Nichols took the lead and never looked back. Colt’s teammate Dylan Ferrandis was second but he never got close enough to the points leader to challenge him. Shane McElrath was third and Adam Cianciarulo remounted after a small crash to finish fourth. Colt Nichols wins 250 Main Event 1 at Anaheim 2. Dylan Ferrandis finished second in the first 250 main event of the night. Shane McElrath finished third in 250 main event 1. Mitchell Harrison wins the 250 LCQ and qualifies for the main event at the first Triple Crown race of the 2019 season. 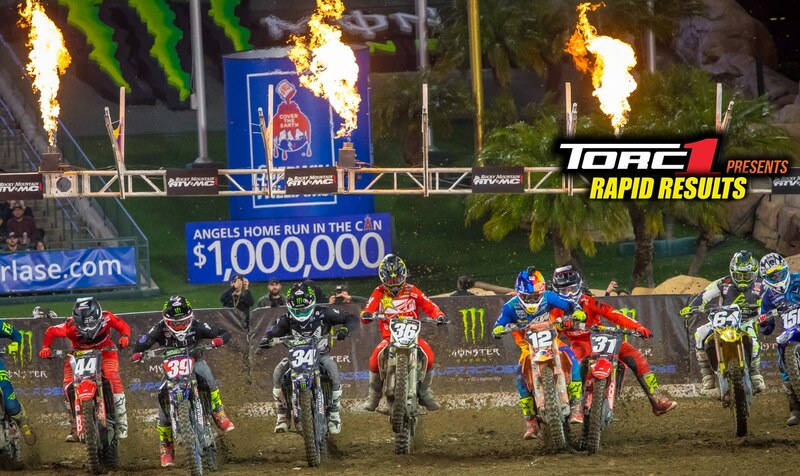 The 250 LCQ was the last chance for any 250 rider who didn’t qualify in the top 18, to make the night show. Because of the triple crown format, the LCQ went on before the night show started. It was Thomas Ravenhorst who grabbed the holeshot and the early lead in the 250 LCQ and it was Mitchell Harrison who passed him on the second lap. Mitchell went on to win the LCQ with Martin Castelo finishing second, Robbie Wageman in third and it was Chris Howell who rounded out the top 4 and took the final spot in the 250 main event. The rest will have to try again next weekend at round four in Oakland California. Martin Castelo finished second in the LCQ on his BarX Suzuki. Robbie Wageman finished third in the 250 LCQ and qualified for his second main event of the season.